Peter Cottontail can't wait to hop in to deliver delicious Easter surprises. 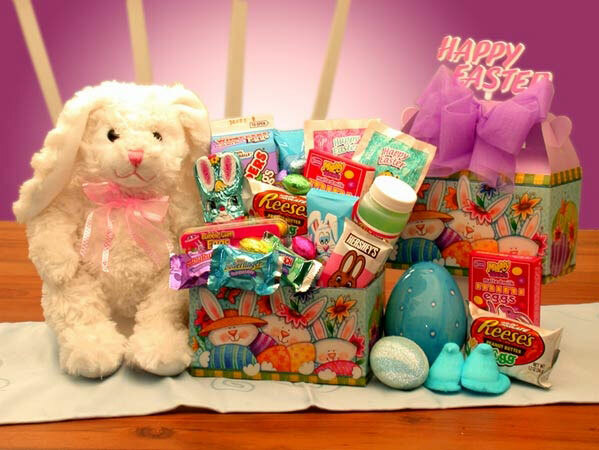 An adorable white plush Easter rabbit arrives tucked away in this unique Easter scene gift box loaded with an endless array of delicious treats. A great Easter surprise for "kids" of all ages!